In most commercial applications installations can involve one or more of our boilers depending upon zoning and Btu/h heating requirements. 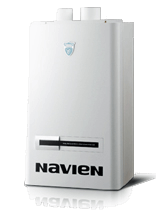 With boilers ranging from 1 kW to 54 kW (3,400-184,000 Btu/h) we can meet most commercial applications. Our electric boilers have been considered "Standard of the Industry" for the past 20+ years. Whether your application is for radiant tubing, hot-water baseboard, dual heat or multiple applications; our Electro Boiler line can meet your hydronic heating needs. Cast iron durability and Burnham quality craftsmanship make the Series 2 residential gas boiler ideal for the replacement and new construction markets. Available in 14 models, including the high efficiency Series 2H, the Series 2 line combines traditional atmospheric draft design with proven boiler controls to ensure reliable, trouble-free operation.